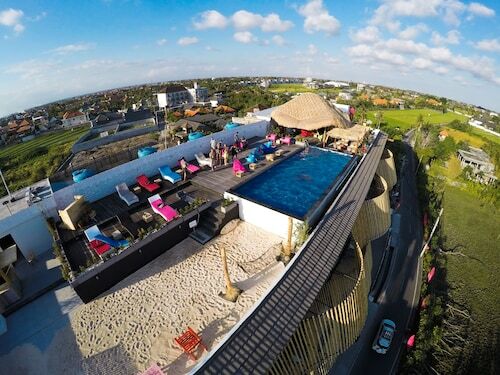 Located in Berawa, this beachfront hotel is in the entertainment district and within 3 mi (5 km) of Berawa Beach, Seminyak Beach, and Echo Beach. Finns Recreation Club and Finns Recreation Club are also within 1 mi (2 km). 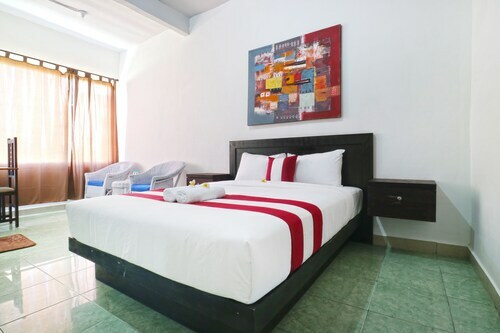 Located in Berawa, this hotel is 0.3 mi (0.5 km) from Berawa Beach and within 3 mi (5 km) of Seminyak Beach and Seminyak Square. Echo Beach is 2.3 mi (3.7 km) away. 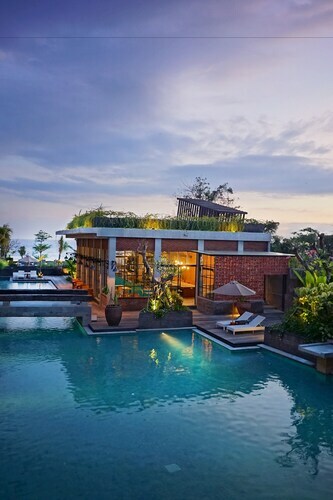 Nestled on the beach, this Berawa resort is within 3 mi (5 km) of Finns Recreation Club, Seminyak Beach, and Seminyak Square. Echo Beach is 2.7 mi (4.3 km) away. 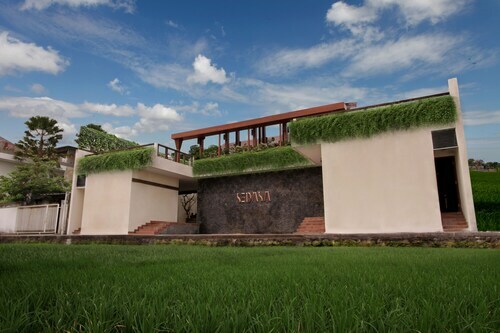 Located in Berawa, this hotel is 0.4 mi (0.6 km) from Berawa Beach and within 3 mi (5 km) of Seminyak Beach and Echo Beach. Finns Recreation Club and Finns Recreation Club are also within 1 mi (2 km). 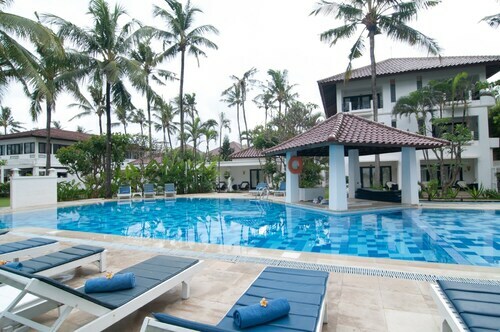 Nestled on the beach, this Berawa hotel is within 1 mi (2 km) of Berawa Beach and Finns Recreation Club. Batu Belig Beach and Echo Beach are also within 3 mi (5 km). Located in Berawa, this spa hotel is 0.1 mi (0.1 km) from Finns Recreation Club and within 3 mi (5 km) of Seminyak Beach and Seminyak Square. Eat Street and Echo Beach are also within 3 mi (5 km). 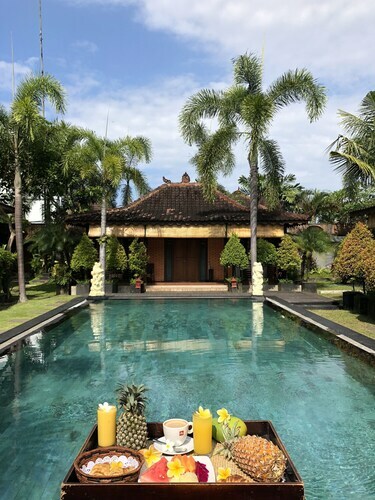 This family-friendly Canggu villa is located in the historical district, within a 15-minute walk of Berawa Beach and Finns Recreation Club. Batu Belig Beach and Petitenget Temple are also within 6 mi (10 km). 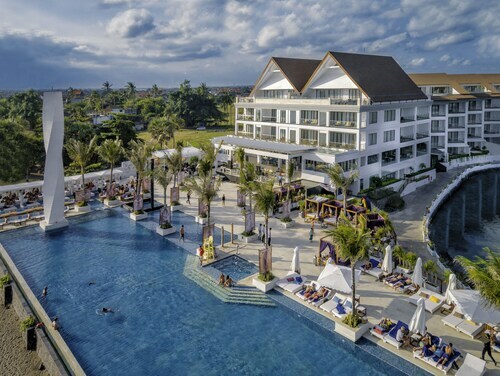 This family-friendly Canggu hotel is located near the beach, within 2 mi (3 km) of Finns Recreation Club and Finns Recreation Club. Seminyak Beach and Echo Beach are also within 3 mi (5 km). 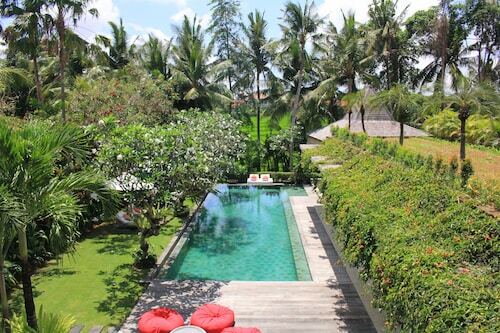 Located in Berawa, this hotel is within 1 mi (2 km) of Finns Recreation Club and Seminyak Beach. Seminyak Square and Eat Street are also within 3 mi (5 km). 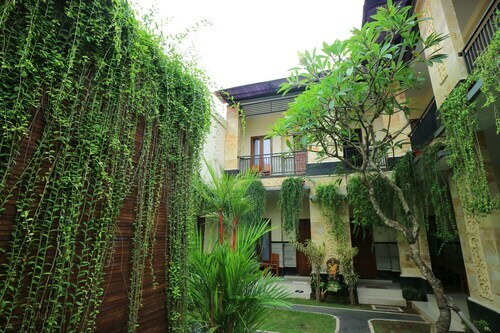 Located in Berawa, this hotel is 0.4 mi (0.7 km) from Berawa Beach and within 3 mi (5 km) of Seminyak Beach and Eat Street. Echo Beach is 2.1 mi (3.4 km) away. 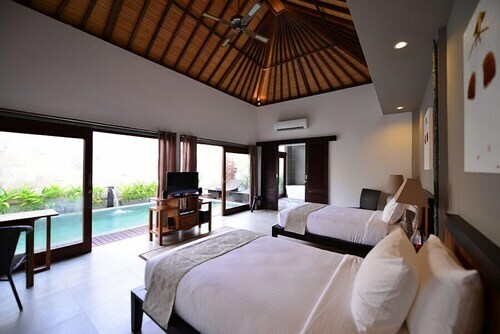 Located in Berawa, this villa is 0.7 mi (1.1 km) from Berawa Beach and within 3 mi (5 km) of Seminyak Beach and Echo Beach. Finns Recreation Club and Finns Recreation Club are also within 1 mi (2 km). City centre hotels are a great way to stay close to all the action. But to really experience the soul of a city, you need to check out its neighbourhoods. That’s where you’ll meet the friendliest locals, drink at interesting bars and embark on memorable adventures. Book Berawa accommodation through Wotif and get access to the sights, attractions, arts, culture and nightlife the locals love, all wrapped up in the neighbourhood's distinct personality. Sleep, eat and play the way the locals do in a hotel that reflects the neighbourhood's flavour. All of our cheap Berawa accommodation deals provide easy access to the sights and sounds of the area. Many of the hotel options are entertainment hot spots in their own right, where guests can eat and drink till their heart’s content. Want to explore the 'hood? Drop the bags off in your room and experience the local haunts ASAP! Got a hankering to see more of the city? No problem—simply reserve a hotel with great transport links. From hotels with their own spas and the best views in town, to boutique properties that radiate charm, we've got the widest selection of characterful hotels. 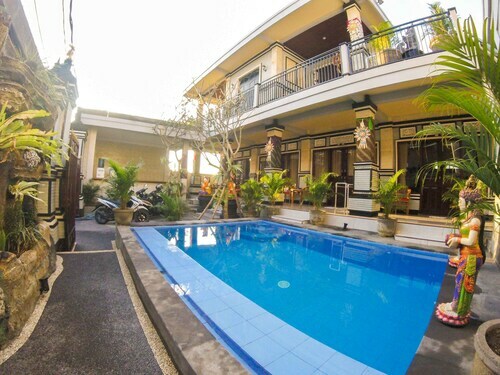 Browse Wotif to find top-rated accommodation in Berawa, from simple to luxe, at prices you can afford. Don’t bother with endless lists of hotels to search through; our easy-to-use search and book system lets you filter by budget, star rating, amenities and more. A few clicks and you're in the door. Now, where did you put that suitcase? How Much is a Hotel Room in Berawa? 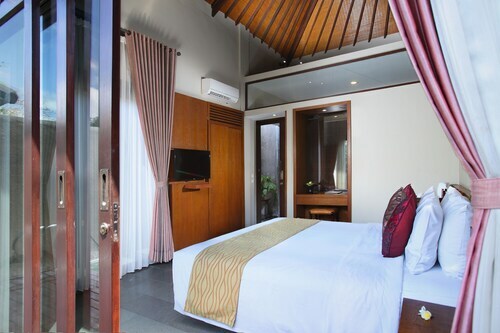 Hotels in Berawa start at AU$23 per night. Prices and availability subject to change. Additional terms may apply. Great location. 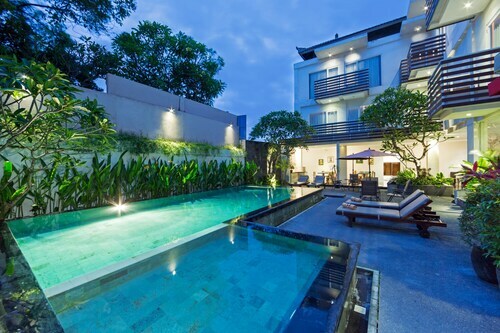 Beautiful spacious villa. Lovely friendly staff.